The EY2 children actively engage in self-development every day, as they strive for understanding and develop their passions as part of a caring and inclusive community. Take a look at what we were up to last week! The children are developing self-understanding and building a community as they learn about their families and those of their classmates. As they paint their families, they are also building their reading and writing skills by adding labels to identify each person. We continue to be impressed by the speaking and listening skills the children are demonstrating as they take turns presenting their family photos to the class each day. Child-initiated inquiry is a wonderful way to develop our passions. 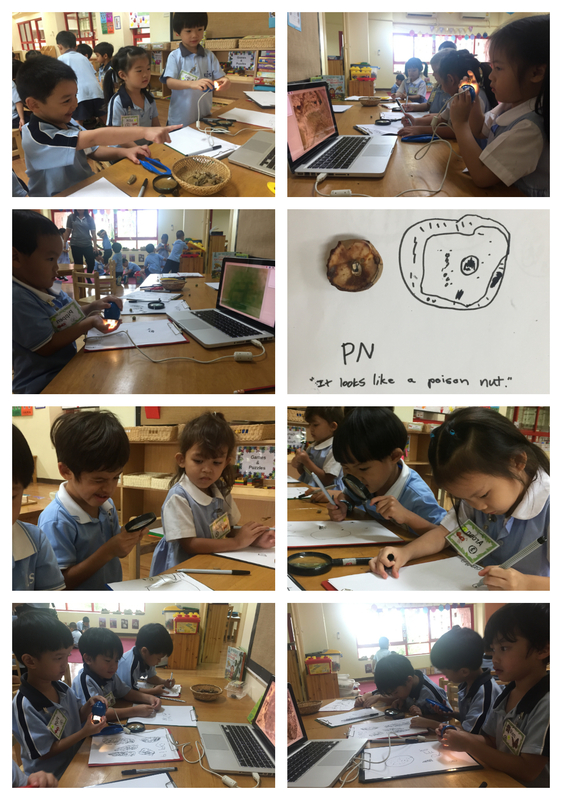 As the children strive to understand the world around them, they are collecting bits of nature from the playground and asking, “What’s this?” We have been observing the collected items with magnifying glasses and a digital microscope, and representing our observations and hypotheses with drawings and words. Language and literacy learning takes place in a wide variety of contexts, so that skills are more meaningful. 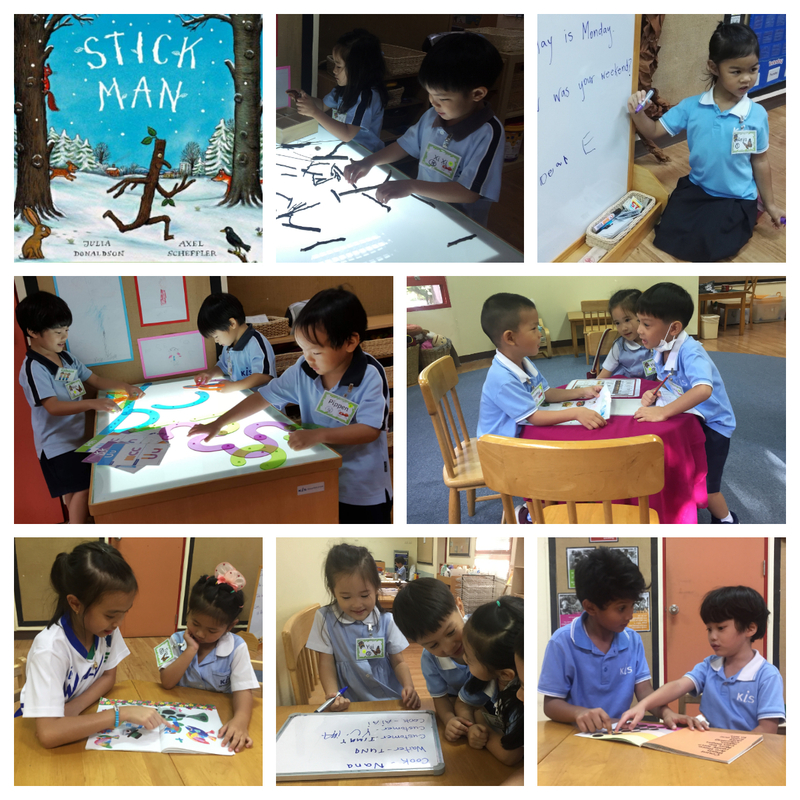 After reading the story “Stick Man,” the children develop comprehension as they make connections to the book, building their own stick figures on the light table. Weekly visits with our reading buddies nurture a love of reading, while helping to build a sense of community beyond our classroom. Children continue to role-play with writing in our pretend restaurant, making a plan for who will take on each role, using child-made menus, and writing down food orders. 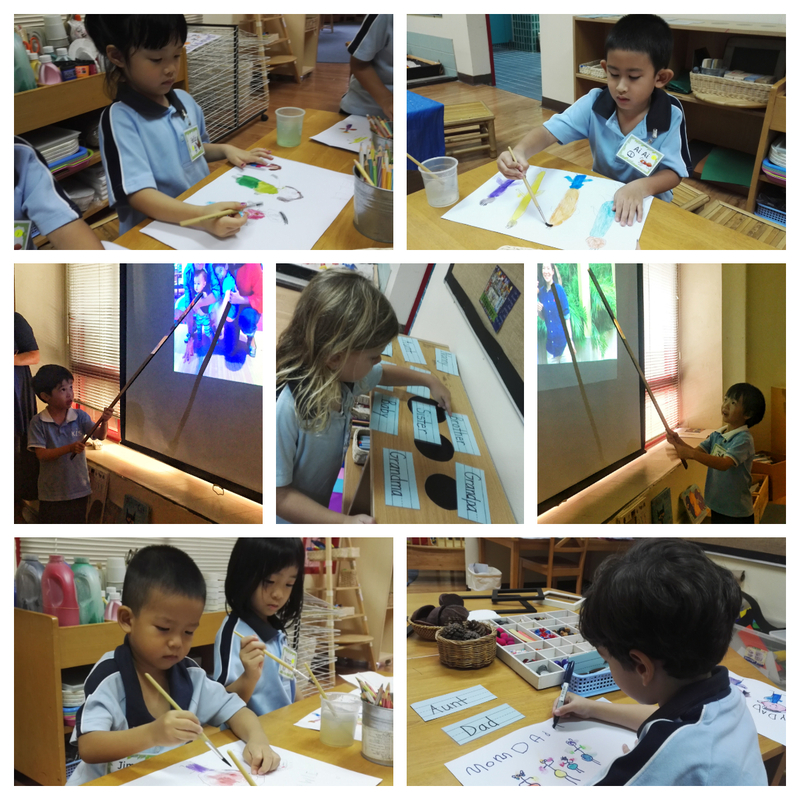 The children also explore letters and sounds, forming letter shapes on the light table and writing messages to greet their classmates. The children are constructing understandings about number through card games, play-doh mats, and our daily routine of counting the school days. They are also exploring pattern in a variety of ways, making colour patterns in drawings and on peg boards. Some have begun to notice number patterns on our 100s chart as well, observing that the numbers in each column have the same final digit. We are also beginning to experiment with geometric shapes, making pictures on cork boards. 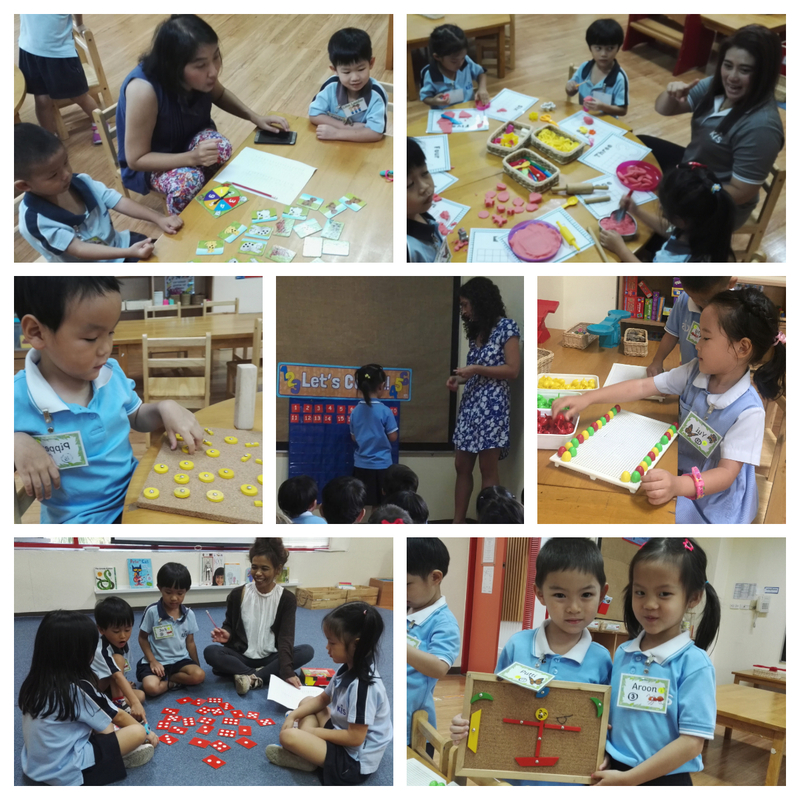 Our learning engagements are ongoing and will continue through this week! Friday October 5th, 8:30 am – 9:40 am: House Sports Day – EY children will participate in ball activities with their house teams on the PYP basketball court, and should wear their house shirts, with PE shorts and shoes. Accessories to build team spirit (i.e., house-coloured face paint or headbands) are also welcome! There will be no swimming. *A sign-up sheets will be posted outside the EY2 classroom from October 1st-5th. Parents with more than one child in the Primary School are invited to sign up at the PS office on September 27th and 28th to facilitate co-ordinating appointments for families. Please contact us by email if you are unable to sign-up for conferences in person, or will be unavailable during conference week.